The Way You Take It: Why Shold ONE Meditate..? Today the person having lots of Stress in their social as well as their personal life. How to be relax with this Stress? While searching ways to be relax people end up at Bars, pubs etc. Starting many bad habits like Drinking Alcohol, Smoking, Chewing gutka and many more... But are those things really help anyone? for some extent they will help you be relax and take you to the different world. but afterwards they leave you on your same positions. HERE I've a solid idea to be relaxed Its nothing but meditation. you need a little time in your daily schedule. 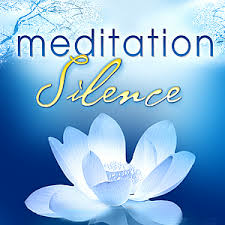 if you spend a little even 5 minute to be calm its more than enough.First thing about meditation is silence. you need to be silent yourself from all your work, activities, chatting, or anything which distract you. Sit anywhere you like and feel yourself comfortable. here i want to tel you is what is meditation all about? Methods and ways i wil tel you later. if you like this mail me or comment on this. Thank you. The scientist like to define meditation as a state of restful alertness in which the mind is relaxed yet alert. It is often called the meditative state of consciousness, because it is different from our normal waking and sleeping consciousness. Moreover once we start meditating we become more peaceful, less reactive and more stable. All these states lead to greater efficiency in our life with less stress or friction. you can feel the beneficial effects of meditation right after first few sessions. The effects are subtle but cumulative. so with every passing day you wil find yourself a little less stressed and a little more happy.